I get the feeling that I missed out on some kind of social phenomenon. 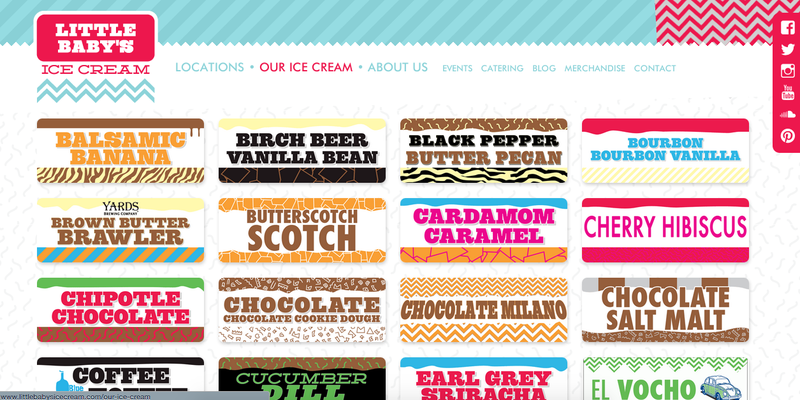 Have you ever heard of Little Baby's Ice Cream company? Seems normal enough, you may think it's a cutesy name for an ice cream company, right? Well, I did too. Based in Philadelphia in 2011, three former musicians somehow decided to turn their main career focus into selling frozen treats off the back of a home-modded tricycle. Maybe a little abnormal, but not too crazy so far. After gaining some popularity, they were able to expand and build four more tricycles. 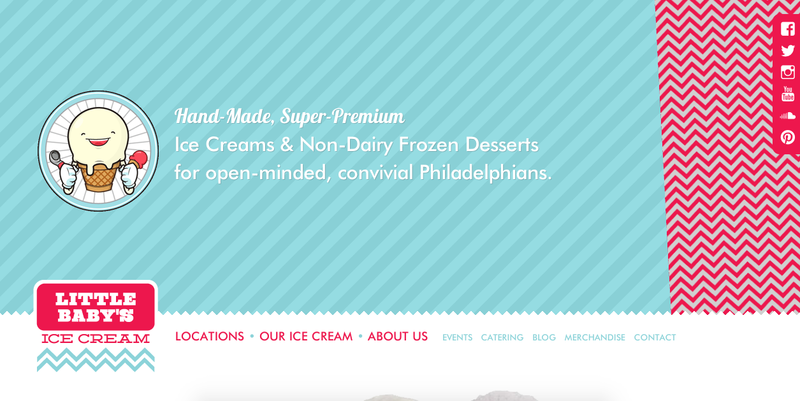 Then, in August of 2012, Little Baby's Ice Cream uploaded some very interesting promotional videos to coincide with the grand opening of their World Headquarters Shop in the East Kensington section of Philadelphia. That's when things began to get weird. I think you can start to see my point now. The above photo is a frame from one of the promotional videos. Look at those eyes! So intense! You can view the whole commercial here, or the other one here. After this, the company took off. It's crazy what a bit of publicity in the right forum can do for your business. With the above video claiming over 8 million YouTube views to date, the tricycles became a staple at music festivals and large-scale events. Unfortunately for me and anyone else who enjoys this walk-on-the-wild-side kind of marketing, their website is aesthetically unrelated to the commercials. It boasts exactly what you'd expect: pastel colours, bright patterns, cursive typography, the list goes on. But it's not all bad news. Their flavours are RIDICULOUS. My favourites include sushi, pizza, cucumber dill, Irish potato and pumpkin curry. There are over forty crazy flavours, and then there's plain. It's literally the only 'normal' flavour. On the bright side, there is a new commercial out (August 2014) that is just as crazy as the first two. At least they haven't forgotten their roots! Check it out here.